You must be a logged-in member to add your comment to this post. In the late 1960s, the Women's Movement in the United States gained momentum and helped women to become aware of their unequal status in society and pursue change. Women's studies courses at universities, popular magazines like Gloria Steinem's Ms. for Women, and demonstrations for equal rights caused women to question the validity of male role models and rules in society and to demand equality. The unequal situation of women in the male-dominated field of architecture was brought to light in a long and well-researched article by Ellen Perry Berkeley in the respected architectural magazine, Architectural Forum, in September 1972. The article gave many examples of overt and covert discrimination of women in architecture, landscape architecture and planning, most noticeable in lower pay and less opportunity for promotion than for men. Encouraged by the examples of other women's organizations around the country such as NOW, women architects started to get together in support of each other and to overcome their second-class professional status. In the San Francisco Bay Area, twelve women began informal gatherings in the fall of 1972 to discuss their experiences at the university and in the workplace. Members named the group "Organization of Women Architects" (OWA) and later added "and Design Professionals". They enthusiastically developed an organizational structure, drafted by-laws and, in 1973, pursued incorporation. Influenced by the women's movement and its emphasis on equality, they chose a non-hierarchical structure with a steering committee working cooperatively and officers such as the president and secretary rotating among the Steering Committee members on a monthly basis. The areas of shared responsibility were education and licensing, employment and affirmative action, newsletter and other publications, publicity and liaison, corporate finances and legal matters, and student affairs (optional). They were originally assigned to two women each with overlapping two-year terms. Proposals by the Steering Committee for new policy or programs required the approval of the membership. The goal of OWA is to support women as a whole person and not only their careers. In the first years, the monthly meetings took place in members’ homes and started with an introduction of all participants which facilitated networking and getting to know each other. Among the first speakers were Dolores Hayden, who shared her experience of founding a similar organization in Boston, and Beverly Willis, principal of the biggest woman-owned firm in San Francisco at that time, offering advice on how to improve skills for job hunting. Other meetings were planned with presentations of women architects' work, job-sharing, flexible work schedules, and childcare. In seminars we reviewed our portfolios necessary for job interviews and improved our public speaking skills. OWA arranged financial seminars to learn about money management and health seminars to educate ourselves about women's health and occupational hazards. We also went on field trips to recently completed buildings as well as construction sites. Many members found new and often better jobs through the OWA job referral service. The programs vary with the interests and talents of the Steering Committee members and input by members. In the mid-eighties, OWA gained much publicity with its House Tours which showcased buildings and landscapes designed by women. The tours were a huge success as people love to visit private homes and gain ideas for their own places but were discontinued as they required too much energy and time of the members. Another important program is the annual weekend retreat at a lovely ranch in the wine country north of San Francisco. It started as a retreat for the Steering Committee and expanded to include women in mid-career. It is now open to all members as a time for renewing friendships, relaxation, reflection, and personal and professional growth. Besides providing opportunity for lifelong friendships and career support, OWA created many important programs and actions for the benefit of architects and design professionals in general, not only women. For example, one of the outstanding contributions was the Mock Exam intended to prepare and train young architects for the difficult California State licensing exam. The mock exam was so successful that OWA sold it after some years to the American Institute of Architects. Another significant contribution is providing health insurance to uninsured professionals. In 1976, after lengthy investigations, OWA set up a health plan. Making it available to all interested architects and designers in small offices and unemployed architects who were OWA members was a great service to the community because affordable health insurance was not easily available in the United States at that time. OWA cooperated with many other organizations and institutions and, for example, in 1989 was instrumental in establishing a new, more political umbrella organization in California which joined forces of several existing women architects' organizations. The goals of this group, called California Women in Environmental Design (CWED), were to lobby government agencies and provide designing women with public exposure through outstanding statewide conferences and exhibitions of their work. One of the achievements was the development of a new set of design evaluation criteria based on environmental and human values. Unfortunately, CWED ceased to exist. As OWA approaches its 40th anniversary in 2013 I would like to look at two factors, selected from many others, to comment on its condition: the professional environment and the internal organizational conditions. Naturally, over the years, OWA grew into a mature organization. At times, OWA members passionately discussed whether to revise the vision for the organization and change the organizational structure. In 1990, a restructuring attempt was defeated and an administrative assistant was hired to ease the workload of the Steering Committee members. In 2009, the Steering Committee proposed a change to a nonprofit public benefit corporation with a President, Secretary and Treasurer and a Board of Directors, called the Steering Committee. The position of the president and secretary are not subject to election by the membership. The Steering Committee continues with the routine duties and has decision-making power. A Visioning Retreat on May 7,2011 resulted in the formation of several "pods" or working groups but no new vision for the organization or revision of the 38-year old purposes of OWA. New programs emerged such as the OWA Book Circle, a mentoring and an internship program and the scholarship award while popular events such as the annual retreat, the holiday gift-giving party and the health plan continue to draw members. The monthly meetings have been reduced to events every two months and still offer valuable programs for personal and professional development. OWA has a strong and well designed internet presence with a website http://owa-usa.org/ containing the current Newsletter and an archive going back to 2002, programs offered by OWA – the Health Plan and the Retreat -, Portfolios showing the work of members, and Resources among other information. Of course, a Facebook site is also available for social networking. 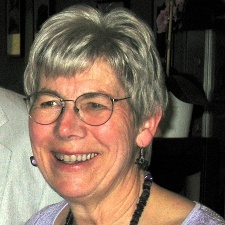 OWA is proud that the Berkeley-Rupp Prize honors one of our late members, Sigrid Lorenzen Rupp. Sigrid donated the Prize as a bi-annual award to a practitioner or academic who has made a significant contribution to promoting women in architecture and has shown a commitment to sustainability and the community. In September of 2012, the College of Environmental Design at UC Berkeley announced that the respected architect Deborah Berke is the inaugural recipient of the Berkeley-Rupp Architecture Professorship and Prize of $100,000. OWA takes pride in looking back on its 40 years of successfully promoting and furthering women in architecture and related design professions and confidently looks forward to many more years of active involvement in issues concerning women's advancement in environmental design.